The big news of the moment at the Little Tassie Prepper homestead is the new addition to our house of Ziggy, a little kitten we recently bought. His full name is Ziggy Stardust, he is a wonderful little fellow with a lot of personality, and he has already bonded with us. He has already showed an interest in chasing mice, my youngest son has been playing with him and a little toy mouse. 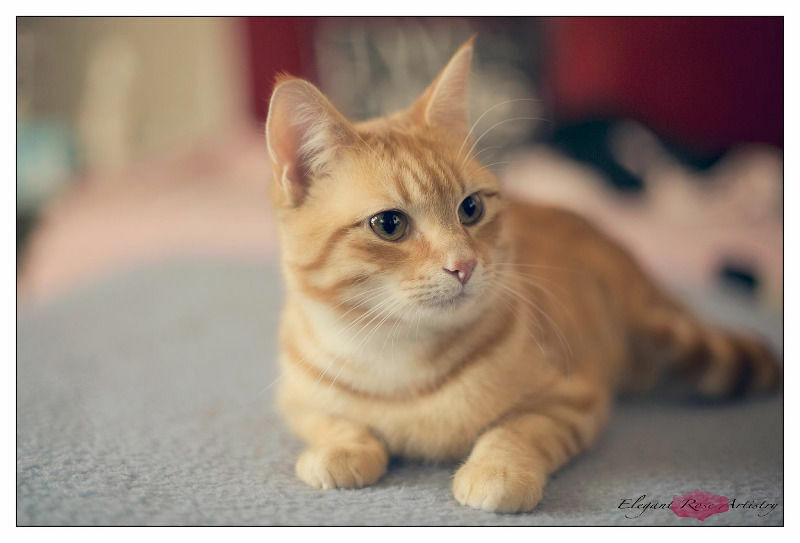 An image of our new family member, Ziggy Stardust. As I mentioned previously, I am not well with a cold and Hay Fever, so I have spent some time inside… away from all that pollen. Because of that I have been focusing on indoor jobs, such as helping Kitty with the inside painting. With all the wallpaper removed, I have been plastering the cracks which we have found underneath. As you can see from the below image, many of the cracks are pretty substantial. While it isn’t a structural problem, it doesn’t look good. 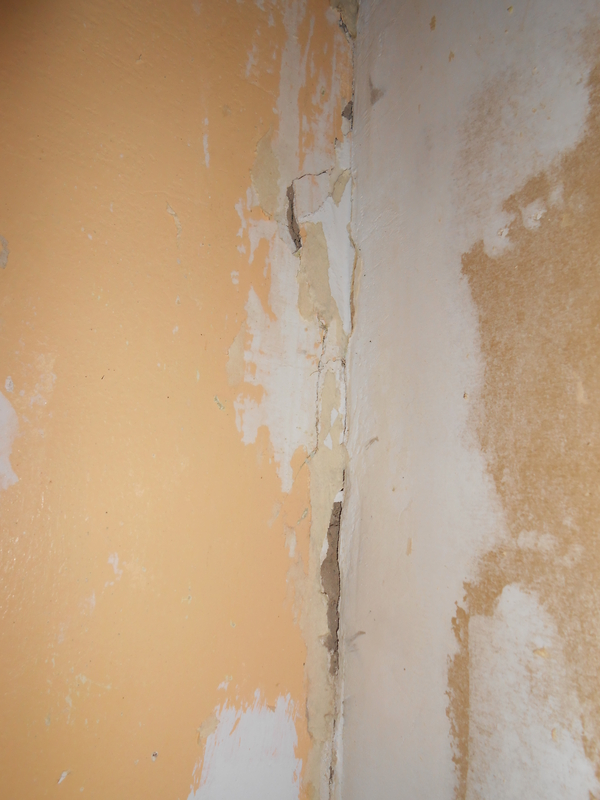 I have had to add multiple layers of plaster, combined with sanding, to fix up these issues. The job isn’t that had, just a bit fiddly. I will post an image of the finished job, fully plastered and painted. Finally, I started digging more holes for the fence I will be installing over the next few days. While digging I notices a little chirping noise coming my (soon to be occupied) chicken house. I checked it out and I found a little nest with a couple of baby birds within. Another sign of spring. 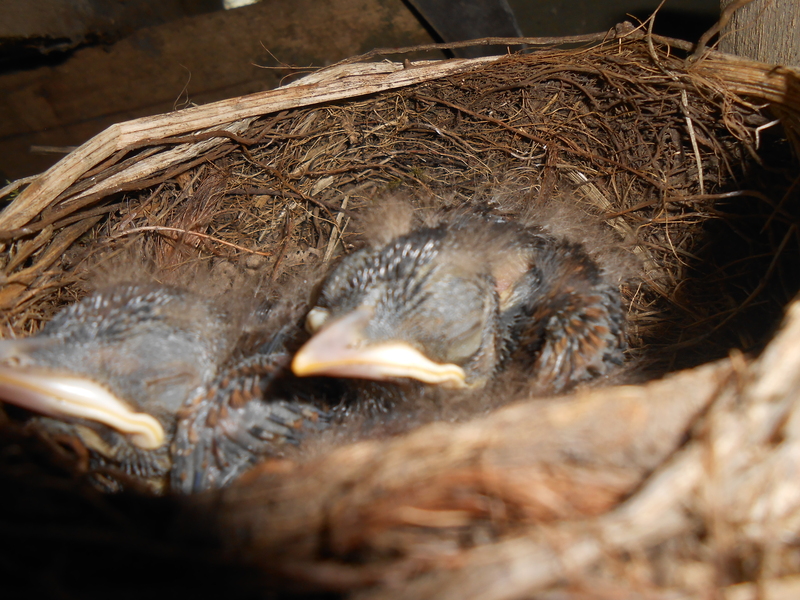 They are so young their eyes are not even open! I didn’t touch or interfere with these little ones. I noticed their mother wasn’t about so I snapped a quick photo.